1. 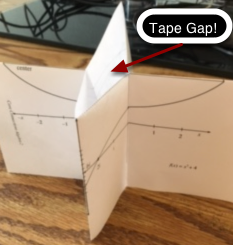 Fold the paper in half perpendicular to the dotted line. 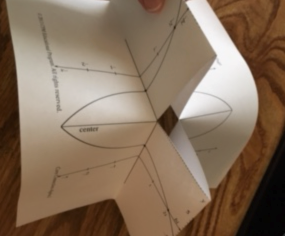 Fold the paper on the line marked bi and −bi. 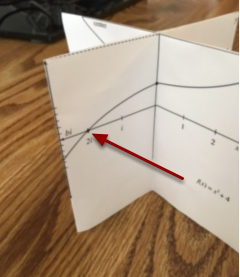 This is a “mountain” fold, so the printing is on the outside. 2. 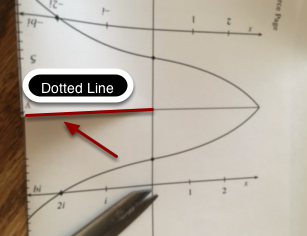 Cut along the dotted line. Note: When cutting you get both sides of the dotted line because it is folded!! 3. 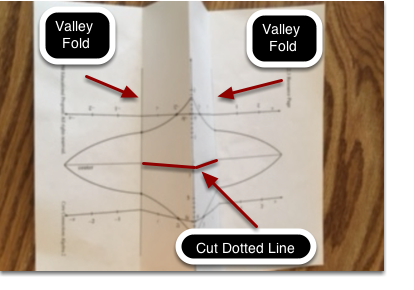 Crease 2 valley folds. Hold the flaps perpendicular to the center line and push down. 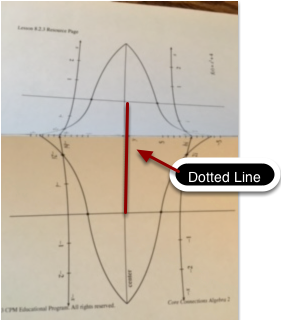 This opens the cut along the dotted line. Fold along the Center Line. Position the model so that the equation is on the right side. Close any gaps with tape. 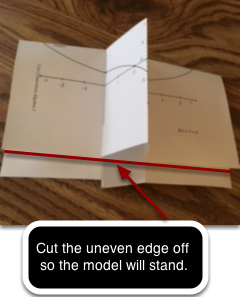 The model will not "stand" well because the bottom is uneven. 6. Cut the uneven edge off! 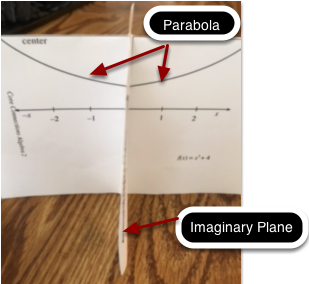 The imaginary plane is almost invisible coming directly at you.